Fatgirl Hedonist: Frita Showdown Ticket Giveaway! Are you a fan of Fritas? 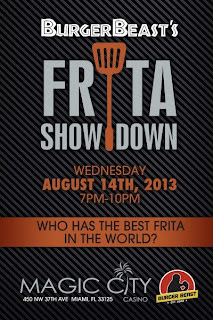 Well my friend, Burger Beast, is hosting a pretty amazing event at Magic City Casino called the Frita Showdown on August 14, 2013. Burger Beast is on a mission to find the Best Frita in Miami and he's doing that by hosting a competition where 5 popular Frita Cubana restaurants will face-off. 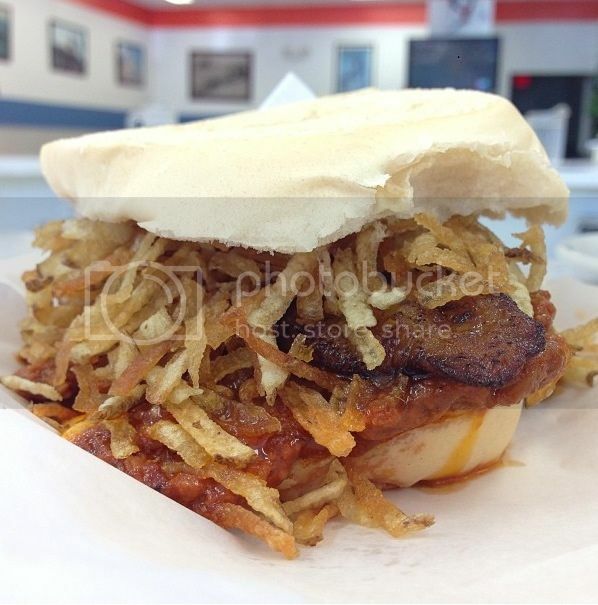 Who's competing for the title of Best Frita in the world? Well it's none other than Cuban Guys, El Mago de las Fritas, El Rey de las Fritas, Luis Galindo’s Latin American & Sergio’s. A panel of judges will then vote and decide the winner. Tickets for this event are $40 per person and include a Frita Cubana from each of the 5 restaurants plus Snacks & Desserts (brought to you by Azucar Ice Cream, Latin American Bakery & Cafe and Islas Canarias) with complimentary Soft Drinks (Go with the Jupiña!) and Beer. However, Burger Beast has hooked me up with two tickets to give away! The lucky winner will be announced on Wednesday 08/08/2013. Give the application a couple of seconds to load and GOOD LUCK! El Mago De Las Fritas is my favorite! My Grandpa used to take me there when I was a little girl, it's one of my fondest memories of him, I would always ask them for a little cup of the potato slithers to take home. I prefer El Mago but El Rey is good as well. El Rey on 29th street in Hialeah is my fav! Best fritas are the classic fritas from Rey! 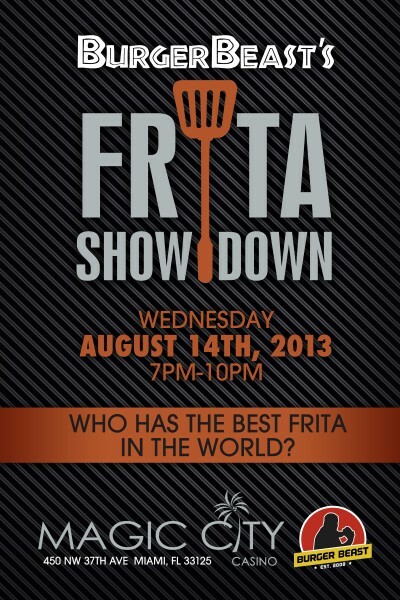 I've never ever had a Frita... what better place to do it than at the Showdown? !